Yellowstone is home to grey wolves, bison, elk, and grizzly bears, plus hundreds of geysers and hot springs. 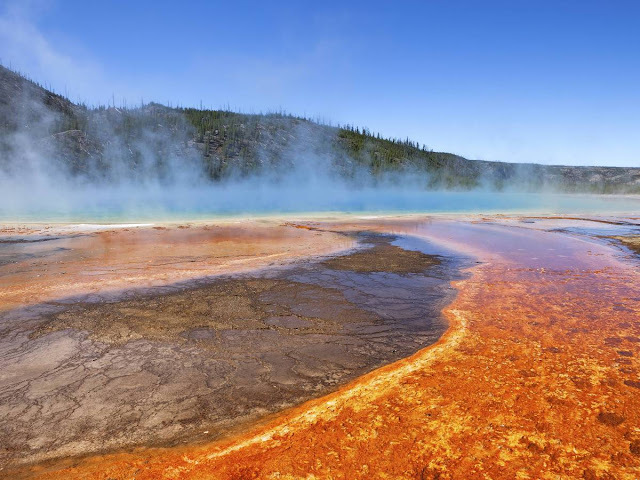 It's also home to the largest active supervolcano on the North American continent. A supereruption from the Yellowstone volcano would cover the entire continent in ash. 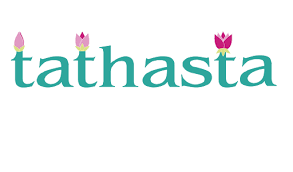 When will it happen? See those mountains in the distance? 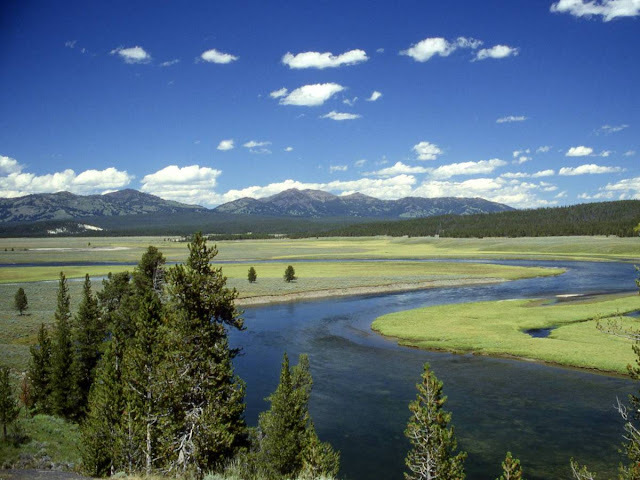 That's the rim of the Yellowstone Caldera, a massive supervolcano that's been dormant for 640,000 years. 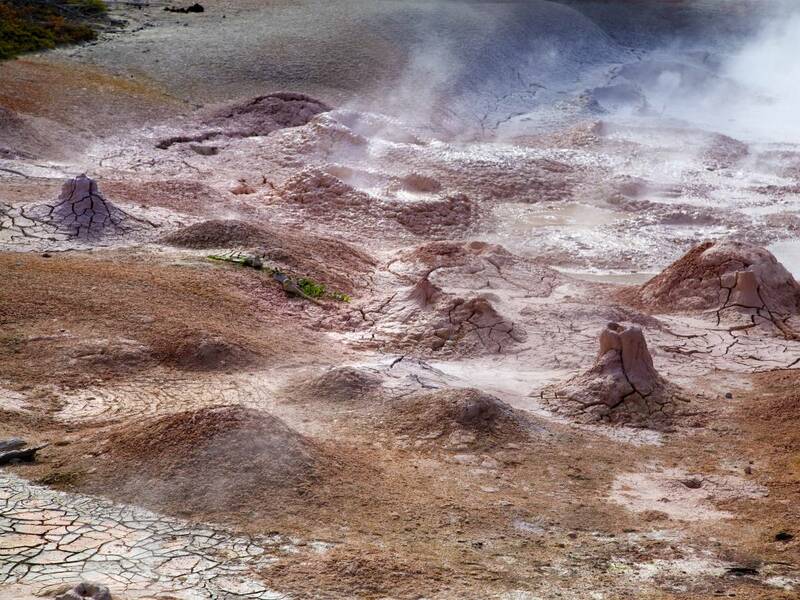 All of the geothermal activity at Yellowstone happens in this basin, where magma is closer to the earth's surface. This magma heats water, which drives it out into the air as geysers. 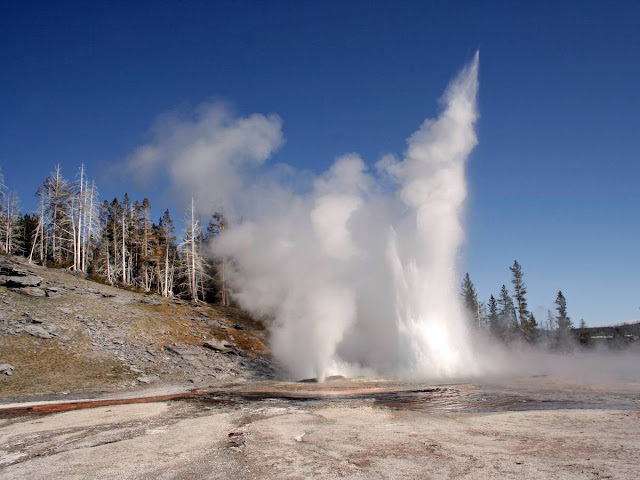 Yellowstone has two-thirds of the entire world's geysers. 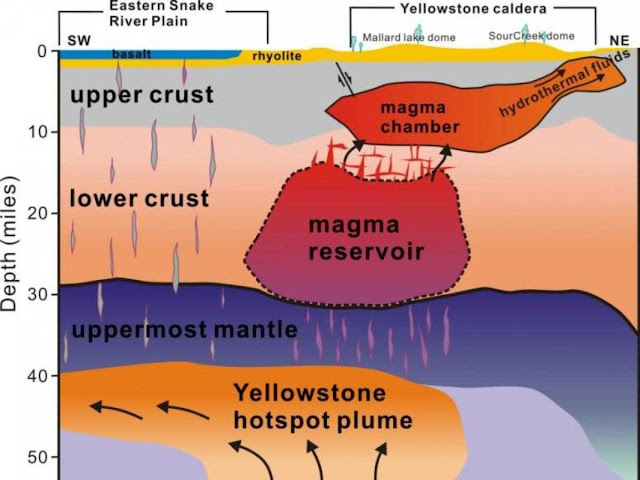 New research from the University of Utah has identified a deeper reservoir of solid magma that feeds the chamber sitting underneath the Yellowstone caldera. This magma reservoir is enormous—it could fill the Grand Canyon 11 times. A supereruption is an enormous eruption that lasts for many days and ejects more than 1,000 cubic kilometers of material into the air. The Yellowstone area has experienced three supereruptions—one 640,000 years ago, which formed today's caldera, one 1.3 million years ago, and one 2.1 million years ago. A supereruption would be incredibly damaging, leading to ash coverage across much of the western United States. Crops in the midwest would likely fail. 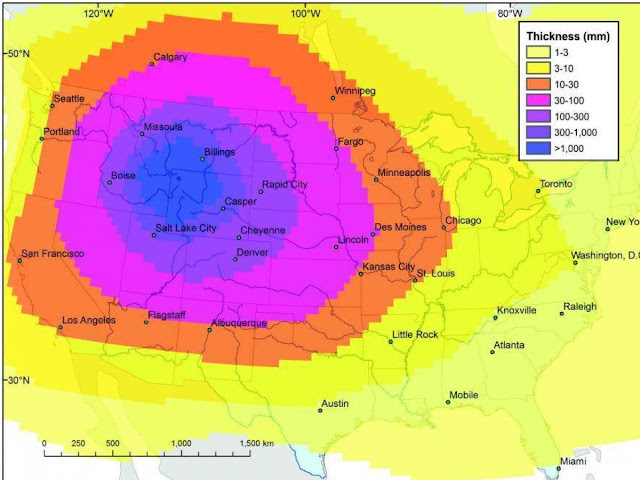 Scientists at the U.S. Geological Survey estimated what the ash coverage from a supereruption would look like. 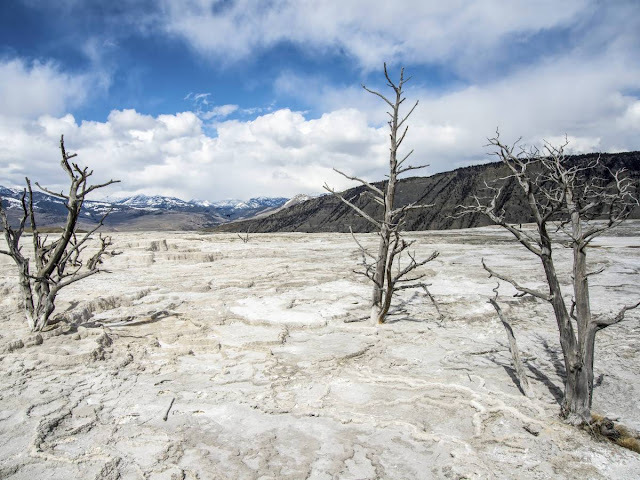 Because of the massive amount of material ejected into the air over weeks, the ash would spread pretty evenly, unaffected by traditional wind patterns. 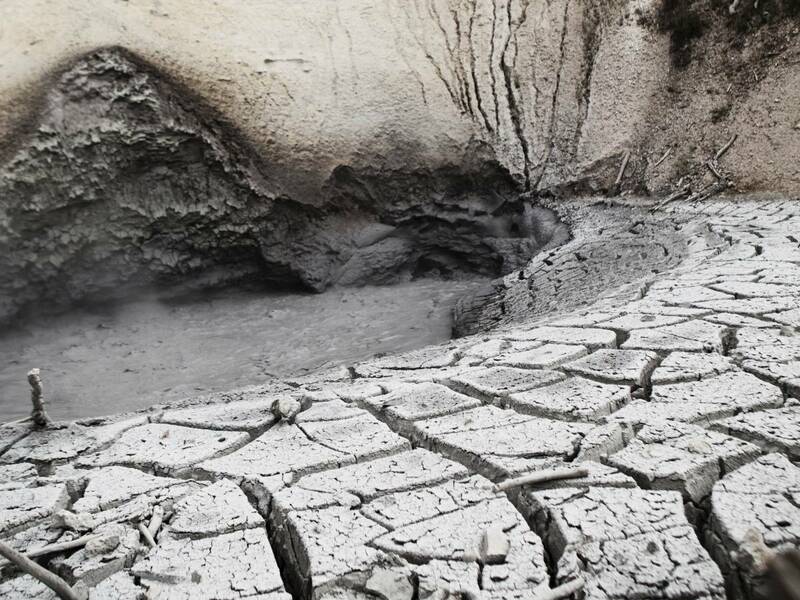 The epicenter of the eruption would get covered in over three feet of ash. This worst-case scenario is unlikely to happen for many thousands of years. 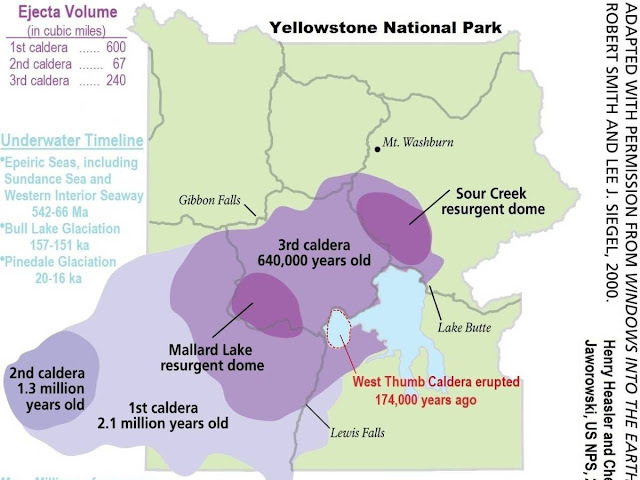 The last volcanic eruption in Yellowstone, which had a traditional lava flow and wouldn't cause much damage if it happened today, was 70,000 years ago. The U.S. Geological Survey gives the odds of a supereruption happening this year a 1 in 730,000 chance, or the same likelihood that a large asteroid will hit Earth. Rather than be worried about the possibility of a huge eruption destroying Yellowstone as we know it, and sending the United States into perpetual winter, we should be thankful for the massive lake of magma sitting under the park. 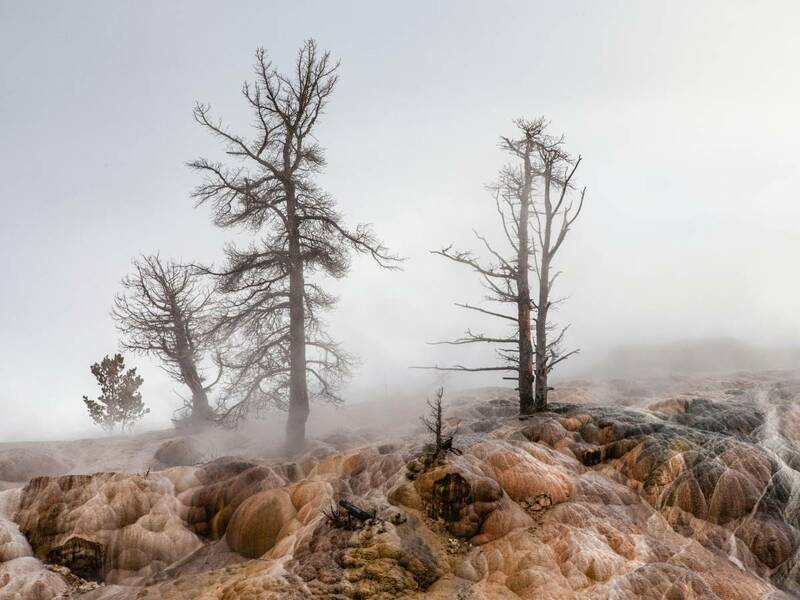 It's this energy that makes Yellowstone such an incredible place, with huge geysers, bubbling mud pits, and deep blue hot springs.